I’m hoping to cheer you up and give you a reason to smile in the beginning of this week. As you all know I love North and South as much as I love Pride and Prejudice, and I’m always eager to find more North and South variations out there because compared to Pride and Prejudice variations they are very scarce, so I was very happy to know that Julia Daniels started working on another North and South novel called Milton’s Magistrate. This is still a work in progress but we thought that you would like to have a sneak peek at the first chapter, so we are sharing it today along with some wonderful news. 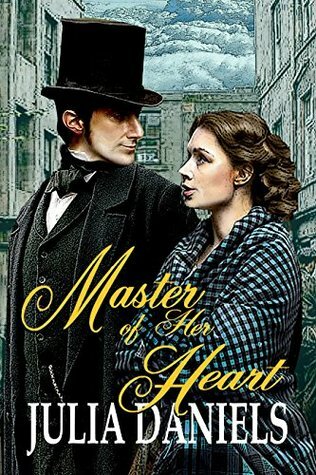 For those who don’t know this author yet, she has written several romances placed in very different timings and settings and two of them are North and South variations, Master of Her Heart which I’ve reviewed here at From Pemberley to Milton and Milton’s Mill Master which will be FREE for an entire week starting today! If you haven’t read it yet, this is your chance to grab a copy, this link will take you directly into Amazon. Dodging unopened packing crates as she entered the drawing room of their new home in the Crampton Precinct of Greater Milton, Margaret Hale was on a desperate mission to get this room put into some semblance of order by nightfall. Her father’s first pupil would visit that evening, and everything had to be in perfect order. The large room at the front of the rented townhouse in the Crampton district was to be a combination study area for her father’s visiting pupils and a place to relax together as a family in the evenings. The home was much smaller than they were all accustomed to, but for the price, it had been the finest place she and her father could find available in the industrial town. Margaret, along with her mother and father had arrived in Milton, an industrial town in northeastern England, just five days earlier. This room had been consigned to the lowest priority for settlement. The kitchen and dining room had been unpacked first, followed by her mother’s room, and then her father’s. Although Margaret’s belongings were still crated, this room had to be taken care of that day as her father was hoping his first student would begin reading with him that evening. She puffed out a heavy breath as she looked at the dozens of crates, most filled with books she needed to unload and place on the empty, built-in shelves. The furniture had been placed in the room, but the pieces still bore the white sheets that had kept them clean on the long railroad trip from the vicarage in Helstone. She decided she would unbind them first, which would allow her a clean place to sit as she sorted her father’s books. She had forgotten the list her father created before departing the house that morning. She walked through the narrow pathway she’d created between crates and into the hallway that led to the dining room, where the list likely remained, still on the table where she’d sat for breakfast. As she walked, she tripped on the edge of the Oriental rug that ran the length of the hallway, catching the wall to keep from falling to the ground. The rug was lovely but badly worn in areas, especially the edges. It had come with the house, but it would have to be removed. As often as they would trot down this main hallway, and with her mother’s presently weakened state, it simply could not stay. As Margaret bent over and began to roll up the runner, planning to store it in the crawlspace under the kitchen, a scream sounded from the back of the house. Margaret dropped the rug, jumped over what she had already rolled up, and rushed to see what the issue was. Dixon had probably seen another mouse, as they’d found several in the kitchen already, but Margaret needed to be certain. Dressed for her planned excursion to the market, the housekeeper was staring out the back door of the home, clinging to the door jamb, her mouth hanging ajar as if in shock. “Dixon!” Margaret barked sharply. Frustrated, she moved closer to see what in the world the maid was viewing. Dixon slammed the door and joined Margaret at the small kitchen table. “You must go find a watchman, Miss Margaret.” Dixon’s urgent voice was quiet, a reminder that Margaret’s mother was still asleep upstairs. It would not do to have her mother become aware of the lifeless body residing in their backyard. Maria Hale’s health and spirits had deteriorated rapidly since their arrival. Barely fifty, Mother seemed to have aged a decade overnight. At present, she refused to leave her room except for meals. She refused trips to the market and shops, and while there had been few opportunities to socialize with people of their ilk, she had showed no interest in meeting any people in their new town. Margaret would try to convince her mother to attend church this upcoming Sunday, but she was not holding out hope. “You should go,” Dixon sputtered. Her gaze remained fixed on the door, a fearful look upon her face. Dixon often forgot she was a servant. She had been lady’s maid to Margaret’s mother for nearly forty years. As such, they behaved more like sisters and confidantes, than employer and employee. This gruesome task of reporting a murder was not something a young woman of good breeding should be forced to complete. Indeed, her Aunt Shaw would faint dead away at the very prospect of it, but if Dixon would not go, then Margaret must. Margaret marched out of the kitchen. Where in the world would she go to find a watchman in this part of Milton? She was shaking inside, scared what else she might encounter outside her front door. In London, especially on Harley Street where Aunt Shaw resided, it would be quite easy to find a lawman, but here…well, Margaret hadn’t had time to become familiar with the area. She grabbed her hat off the table in the front hallway and exited the house, certain to close the door firmly behind her. Dixon had better heed Margaret’s advice and lock the door. She paused on the porch and looked in both directions. Which way…? Suddenly, she had a thought. Mrs. Williams. Surely, their new neighbor could guide Margaret toward the closest police station. She descended the steps, turned right out of the gate, then walked along Fulbright, the town’s main road. A few moments later, she stopped at the very last house on the row. Mrs. Williams was the only person she could think of who could help, and as Margaret climbed the stairs, she hoped the older woman was willing to render assistance. With Mr. Bell gone and her father Lord only knew where, she had nowhere else to turn. Just earlier that week, after they first arrived, Cecilia Williams had stopped to welcome them with a pie. She had lived in this last house on the row for nearly twenty years and would surely know where Margaret could go for help. The woman quickly answered Margaret’s knock. Margaret stayed on the upper step of the house while Mrs. Williams went to collect her garb. She glanced around the neighborhood, wondering if the killer was still there, just lying in wait. She shivered at the thought. Had the man been chosen or had it been a random act? Mrs. Williams was quick to rejoin her and after locking her door, she Together, they rushed through the blustery gray day toward New Street, where Mrs. Williams explained, the nearest police station was located. She was correct. That had been one of Margaret’s main concerns in settling so far from the town’s center. Although she had walked plenty in London, she’d done so strictly for pleasure, not out of necessity. Aunt Shaw had never allowed Margaret to walk too far and never without an appointed chaperone. Milton was completely different. Women here wandered freely with no need for a chaperone, and most women her age worked in one of the dozens of mills in town, giving the girls far more freedom and independence than Margaret would ever have in London, or perhaps even here. And now, of course, with her father’s reduced circumstances, there would be no carriages—hired or otherwise. After a hurried, thirty-minute walk, they reached a building at the corner of New Street and Mills, upon which hung a simple, weather-worn wooden sign that read, Police. Mrs. Williams pushed opened the heavy wooden door and breathlessly, Margaret followed her inside. A navy-blue uniformed man with a trimmed beard sat at a desk right inside the door. He stood quickly as they neared his desk. “Yes!” Margaret cried. Still a bit out of breath, she continued. “There is a dead man lying upon the stairs outside the back door of my home!” She tried to remain calm in her explanation, but the shock was too much. As she spoke, the man wrote out the information she gave him, his penmanship careful and neat. When he looked up, he turned to look at Mrs. Williams. “You are her maid?” he asked. His voice fairly trembled with excitement, and she half-expected him to leap over his desk at any moment and race out the door. He called out to two other men, both of whom wore similar uniforms but their woolen suits had fewer fancy details. The sergeant, who Margaret learned was called Hubert Snipe, quickly explained the situation to the new arrivals, both constables, and soon Margaret and Mrs. Williams followed the three men down a dark, narrow hall and out a back door. He helped her climb into the rig and then turned to help Mrs. Williams. The older woman slid in next to Margaret. “I shall ride up on top with the driver,” he said before closing the door. As soon as she heard him climb aboard, the horses pulled them away. Milton was a mill town. Mr. Bell had said that over eighty percent of the population of Milton relied on the cotton mills for their daily wage. As long as the mills did well and the price of cotton stayed strong, so did Milton and its residents. Except for the initial meeting when Mrs. Williams brought the pie to Margaret’s family, they had not shared an extended conversation. Instead, they had waved to each other in passing and talked only once, for a short time, when Margaret ran into her at the market two days earlier. She tipped up her chin. “He is Mr. Thornton’s overseer. He manages the whole of the mill.” Pride underlined her words. Margaret had tried to pay attention earlier when Mrs. William told her, but still in shock, she could not remember the name. Through gossip Dixon had picked up at the market, Margaret had learned some of the mills were run better than others. “That sounds like a taxing job, Mrs. Williams. The largest in Milton! My goodness, I should like to see inside one day, just to have a peek at how such a facility is operated. I have come to understand the mills run very long hours.” The whistles that blew through town early and late each day were testament to that. She looked out the window as she admitted the last, and Margaret’s heart went out to her. “This Mr. Thornton sounds like a rather important fellow in Milton,” Margaret commented. The coach came to a halt just on the corner of Fulbright. An instant later, Sergeant Snipes popped open the carriage door. The wagon pulled to a halt directly next to them, the constables waiting, no doubt, for Snipes to give them their orders on how to proceed. “Miss Hale, would you be so kind as to lead me to your residence?” he asked her. Margaret stepped out of the carriage and waited until Mrs. Williams was also on the ground before she pointed Snipes to her house at the very end of the row. “That is kind of you to say.” Mr. Bell would be glad to know Margaret made a fine first impression with her new neighbors, his tenants. “Miss Hale!” Snipes barked, “Let us be on our way, if you please.” His men in the parked wagon shifted on the bench, while their horses pawed at the ground. They climbed the steps, and Mrs. Williams paused on her front stoop. “Please, do come to visit us. You will always be welcome for tea or otherwise,” Margaret told her. This time, Mrs. Williams hugged Margaret before walking inside her home. Margaret caught a glimpse of the entry hall over the woman’s shoulder before the door closed. Was the house identical in design to the one in which she and her parents lived, or, seeing as the building had been erected on a corner lot, was the Williams’s place larger? Of course, she didn’t have time to dwell on such matters. Not with Sergeant Snipes waiting for her to lead him and his men down the road to her home. Please, let Mother still be in her bedchamber, Margaret prayed. She could never explain the presence of these men without causing her mother alarm. Perhaps they would have no need to come inside the house? Surely, Margaret could answer their questions in the alleyway just as easily as she could in their front parlor. She could see no need to disrupt the entire household with this matter. Snipes nodded to his constables, and immediately, they went down the path through the alley. Margaret trailed behind, looking over shoulder, hoping the neighbors were all away from home, at work, and not at home, peeking out their windows and watching her with the uniformed men. It was hardly a good impression for a newcomer to make. She prayed the body was gone, that it had been a horrible, sick joke. But no, the man was still dead, lying on her back porch. The two constables began looking around the area, studying the ground, searching for evidence, she supposed. “How long have you lived her, Miss Hale?” Snipes asked. Snipes walked forward, circled the body the best he could without moving him. He bent closer, studying the gaping hole in the man’s throat. She pulled a handkerchief from her sleeve and covered her mouth and nose. Was that the odor of rotting flesh or some other foul smell? She had no idea what the smell was, only that it twisted her stomach. Could the body have begun to decompose already? “I saw him before coming to you. At least, I looked quickly.” Still holding her linen cloth over her face, she moved forward and stopped beside the sergeant. He nodded and followed behind her, his leather boots crunching the gravel as they walked. When they reached the door, she found it locked, just as she had asked Dixon to do. She knocked quietly, hoping the maid, and not her mother, would hear them. Dixon came to answer, cracking open the door. “It’s me,” Margaret told her. “Yes, miss.” Dixon looked closely, almost fearfully toward Snipes but left to fulfill Margaret’s request. Margaret removed her gloves and hat and set them on the table by the door. She held out her hand to accept Snipes’ hat but instead, he held onto it. She was nervous suddenly. She had nothing to worry about. She did not know the dead man, had no idea how he had come to land on her stairs. That was truly all she knew, all she could tell the sergeant. He sat as soon as she did. “I assume the maid who answered the door is the one who discovered the body this morning?” he asked. “Yes. We have just one servant at present.” She swallowed. “I had just finished breakfast and was getting ready to unbox my father’s books.” She gestured toward all the sealed crates. “Dixon screamed. I thought she saw another mouse, as we’ve had half a dozen or so since we moved in. But when I arrived in the kitchen, she was staring out the door. I went to stand beside her, and that when I saw…” Margaret shook her head and shuddered. Dixon rapped softly on the door before entering with the tea service. Margaret stepped out of the room and closed the door behind her. Thank goodness her mother was still above stairs! Most of the time, Margaret would have preferred her mother to be amongst the family, but for the moment, Margaret prayed Mama would stay abed. She walked to the back of the house to look out the kitchen window and see if the constables had left. As she’d hoped, they, along with the dead man, were gone. No evidence remained of the blood that had dripped from the dead man’s neck to cover his shirt and shoulders. His left leg had hung at an odd angle, appearing to be broken or twisted. How the poor soul had suffered! Would she ever know who he was or why he’d been killed? Or most importantly, why someone had dumped him on their doorstep? She poured herself a cup of tea from the pot on the stove and sank onto a hard-backed chair, waiting for the sergeant to complete his discussion with Dixon. She took a sip of the tea, wondering where her father had gone that morning and when he would be home. At breakfast, he had told her he had a meeting with a new student to establish a learning schedule. She had been distracted, reading a letter from her cousin, Edith Lennox, so he very well may have explained further, but she could not recall any other details. She just hoped he would come home before the sergeant left. Margaret had drank all but the last dregs of her tea when Dixon came looking for her. The pasty-faced maid stopped in the kitchen doorway, a faraway look in her eyes. “Miss Margaret, the sergeant wishes to see you,” she murmured. “I am well. It was just difficult to explain what I saw. To remember…” Dixon sat heavily and rested her head in hands, rubbing her eyes with the heels of her palms. She left the room, shaking her head. Just as she reached the drawing room, the front door opened, admitting her thin, gray-haired father. “Oh, thank goodness you are home.” She rushed forward to greet him. He opened his arms, and she threw herself into his embrace. “Shhh, you will distress Mama. Come along.” She took his hand and led him into the drawing room. She closed the door behind them. The two men wordlessly shook hands. “To what does your visit pertain?” her father asked. “Please, have a seat, Mr. Hale. Perhaps Miss Hale will explain?” Snipes suggested. He sat as soon as she was settled. “What? A dead man? Outside our home? Is that what you are you saying, Margaret?” His face turned stark white. She stared at her hands, uncomfortable to be discussing such a thing. How could this happen to them! Five days in their new town and trouble had already found them! “I—that is, yes, we have knives in the kitchen, I suppose, but I do not carry a knife or have anything aside from food cutlery,” her father said. “And where was this visit?” Snipes asked. The mill where Mr. Williams worked and one of the buildings Mr. Bell owned! “What is to happen next?” Margaret asked. “How kind of you, Sergeant Snipes. That would be very agreeable,” her father said, nodding. Margaret stood next to her father, and together, they showed Snipes to the front entry. Her father opened the door for him and stepped aside. Before he walked through the door, Snipes turned back to face them, a small grin upon his face. Julia Daniels loves to write happily ever after stories that warm the heart and make the reader satisfied. From rural and farm romance to historical western romance and even romantic mystery novels, Julia can spin a tale that ends in a happy romance. Her characters come to life on the pages, drawing the reader into the love story, making them want to stick around and see what happens. Julia lives in Nebraska with her husband and two kids. In addition to writing, she designs counted cross-stitch patterns, sews, gardens and cares for an odd menagerie of animals, including chickens and goats. Be sure to also visit her webpage www.juliadanielsbooks.com for updates! .Julia Daniels would like to offer one ebook copy of any of her books to my readers. All you need to do is comment on this post and let us know which book you would like and why. The giveaway is international and it is open until the 17th of November. Nowhere But North is a character driven book that uses flashbacks to enlighten the reader about the life events that shaped the characters personalities. It starts with what appears to be a forced marriage scenario, which is not only shocking but also innovative in the north and south variations genre, and it develops into a heart whelming love story of two newlyweds who are still learning about what married life is all about. The main story will alternate with chronological flashbacks that will transport the reader into the past to witness several marking events that contributed to the characters development, and allow him to better understand each character. It is not easy to go back in time and remain truthful to characters who were created by another author, let alone show us how their personalities developed, and the fact that every single flashback was pure perfection in the North and South realm shows a deep character knowledge, and a writing skill that very few have. In fact, I believe only a couple of authors would be able to write such a perfect North and South Variation, which is in my opinion as good as Elizabeth Gaskell’s North and South in terms of character development. Had I not known these flashbacks were written by Nicole Clarkston, I could have easily believed that Gaskell had written them herself considering they are perfectly in line with the characters she created. I have always been fascinated by John Thornton’s life and this book was the first to give me the pleasure of reading about it. I had always been curious about his father and his childhood, about his journey from a teenager into adulthood, I always wanted to know how he made it, how he became a Mill Master after everything that happened to him, and thanks to this book I was finally transported into the past and made the wonderful journey of his life alongside with him. I witnessed him in his worst moments, I felt his struggles and insecurities and now I feel I understand this man even better and respect him all the more because of it. His life story is so interesting that it deserves a place in a North and South variation book and Nicole Clarkston did a wonderful job at making that happen. Apart from the profound character knowledge Nicole Clarkston demonstrated with this book, venturing into flashbacks alternated with real time events showed a tremendous writing talent. Nicole Clarkston certainly knows how to write a beautiful story with interesting and complex characters while maintaining it clean, and captivating the reader at the same time. The transitions into and from the flashbacks are absolutely perfect, with the scene of a chapter being somehow connected to the scene in the next chapter, even it that scene is happening several years later. It takes true talent and courage to craft such a complex story the way Nicole Clarkston did and she deserves to be praised for such a magnificent work. I loved the initial scenes between Margaret and John, when they were still afraid to let their emotions be known, but also decide to be honest with one another. I am clearly an angsty type of person and books with angst are usually my favourite, but it was nice to see that in this book no unnecessary angst was present. The characters already had too much to overcome in their life so it was nice to see that, at least amongst them, there were no unnecessary misunderstandings. Nicole Clarkston knew how to perfectly balance the emotions in this book, making sure they were realistic, but taking care not to make the story too dark, the result was an incredible book that made my heart ache at times and tears come to my eyes, but which also made me smile with the tenderness that was emanating from the pages. Margaret and John’s love was pure and stout and it was a joy to see how their companionship grew with each page that I turned and how passionate they both were about one another. It is hard to say what I enjoyed the most about this book because I loved it all, the character insight and development, the writing style, the flashbacks, John Thornton, their relationship, the romance, the secondary characters and how it all came into place, John Thornton (I know I already mentioned him, but the character is so swoon worthing that I have to mention him twice), the balance, etc. I am completely rendered to this story and I honestly consider this is the best North and South variation book I’ve ever read. 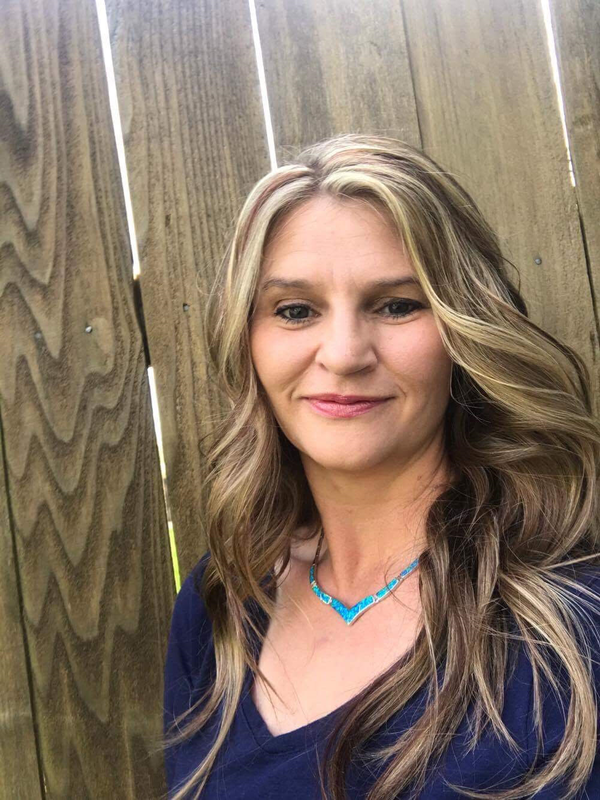 I loved both No Such Thing as Luck and Northern Rain from this author, but I believe that with Nowhere But North Nicole Clarkston took the stakes into a completely different level. This book is a masterpiece that should not be missed by anyone who enjoys good literature and I highly recommend it to all readers. What if a 21st century student from Oxford was transported to the 19th century industrial city of Milton to study the society of that time as a preparation for her thesis? 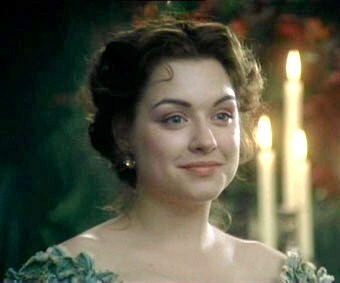 And what if she encountered and fell in love with John Thornton while she was there? Would there be hope for such a love? Would it ever work? I found the premise of this book very interesting, after all who wouldn’t want to go back in time and meet our romantic hero? Even better, who wouldn’t want to become his love interest? The initial chapters of this book were very refreshing because having the presence of a 21st century character allowed the author to use a lighter language that was pleasing and agreeable to read, but as the story progressed it became too distracting to me because it started to be incongruent with the setting of the story. The main character, who is an historian, continuously says words such as “nope” which obviously raises the attention of the people form the 19th century and I would like to think that an historian going back in time would pay more attention to these kind of words that clearly did not exist back then, especially as she is specializing in this time period. Also, she seems to forget the rules of propriety of Victorian England by asking Mr. Thornton to kiss her without any arrangement between them, and he seems a little out of character by not only kissing her, but not raising too many issues with the fact that she had kissed other people in the past. I really liked the premise of the book and the the last chapters were also very innovative and refreshing to read in a N&S variation. The author did a great job in the development and adaptation of John Thornton’s character in the last chapters, I won’t say how or why because that would be a big spoiler, but that was very well achieved and if readers can forget about the rules of propriety of Victorian England they may enjoy this book very much. Unfortunately I could not, and I was really upset by the behaviour of the female character especially as she was an historian, so this was only an ok read for me that clearly took an innovative approach. We are reaching the end of the month and that means it is time for my author of the month post. In 2018 I created this new feature, which started with Joana Starnes as author of the month in January, and was very happy to see that you welcomed the initiative. Your incentive gave me the inducement to keep going, so today I’m bringing you the author of the month for February. This month I would like to give a shout out to Nicole Clarkston! Nicole Clarskton caught my attention back in 2015 because she was the only author I knew who wrote both P&P and N&S variations. Nowadays there are more authors who are venturing into N&S variations but Nicole Clarkston continues to be the one I consider a true expert in both genres. 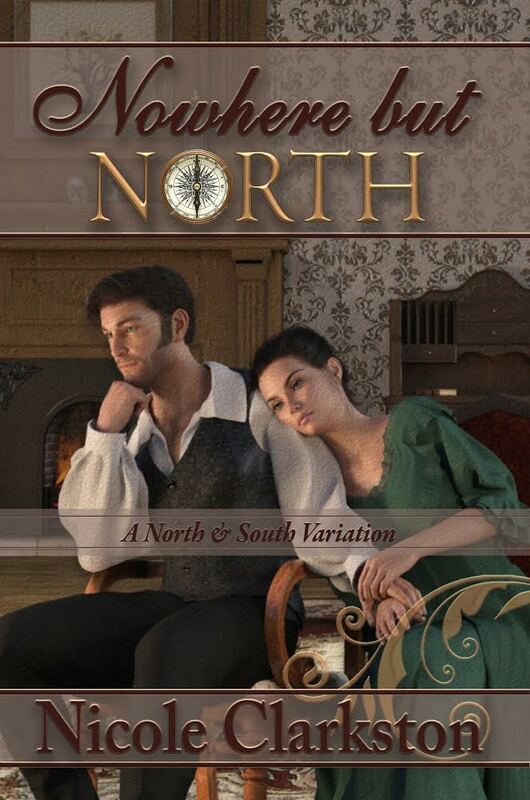 I must say that as a reader I’m very demanding when reading a North and South fan fiction book, and sometimes North and South variations disappoint me, either because they are unable to keep me interested in the story, or because the characters are too different from what Gaskell presented us with. 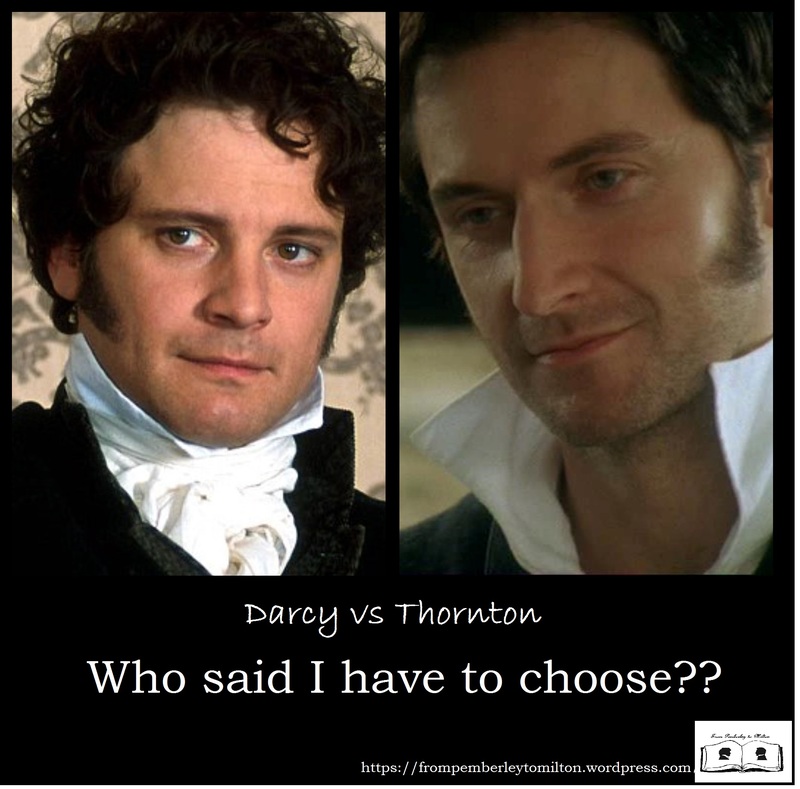 I have often seen less experienced authors make Mr. Thornton too similar to Mr. Darcy and I know it may be hard to differentiate both heroes when writing a romance, but knowing both characters very well is essential to pull it off. Nicole Clarkston masters this art of differentiating. Even though she writes both genres, her deep knowledge of the stories and the characters is visible in her books and I have never felt someone was out of character in her stories, it always feels I’m visiting old friends whom I know quite well. Her Mr. Thornton is indeed Mr. Thornton and Margaret Hale is not one bit like Elizabeth. I love that! I do love variations from both Pride and Prejudice and North and South, but I am expecting to find different characters (even if some traits may be similar) and that is what I find in Nicole Clarkston’s books. 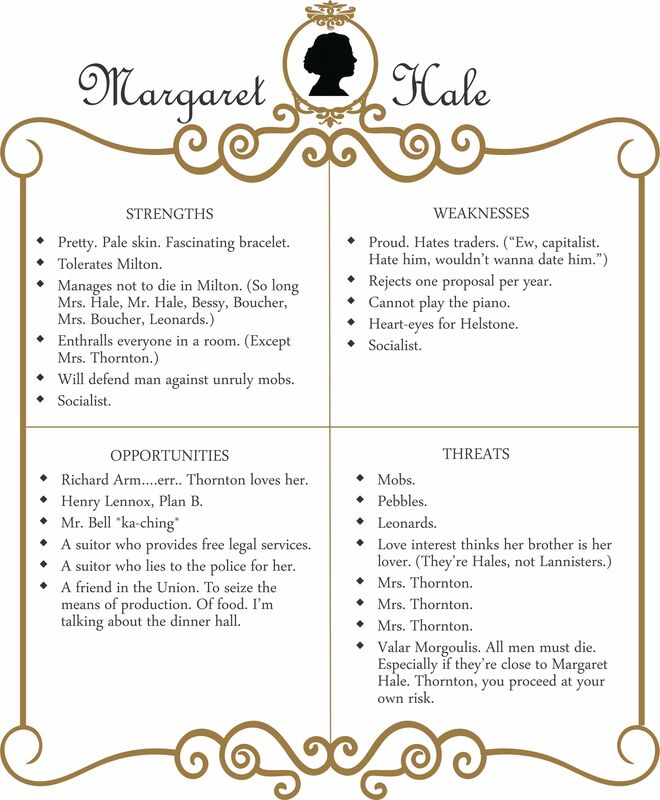 She shows a true understanding of each characters traits and past story, how they got where they are and what we expect from them in each new situation, this knowledge produces perfect books because she remains true to Austen and Gaskell’s characters and uses her creativity in her original new characters. This is a perfect as it gets in my opinion because it gives us the best of the two worlds: authenticity and creativity. I cannot tell if I prefer her North and South or her Pride and Prejudice variations, in my opinion they are all equally good, and that is not something easy to achieve, particularly when one is writing the stories simultaneously as she usually does, so congrats Nicole! Apart from being the only author who continues to consistently write both P&P and N&S variations, which by itself and considering the theme of my blog would be enough for me to give Nicole a shout, she writes stories with a perfect balance. In my perspective, she has the right quantity of everything, her books are perfectly balanced in terms of pacing and in terms of sweet romance vs. angst which always makes the reading experience very pleasant to me. She has written variations, prequels, gone abroad to Spain and Portugal, created new characters, developed more than one love story in the same book… She keeps challenging herself and it is refreshing to see and read that, hence my shout out 🙂 Thank you for providing me with so many wonderful reading hours Nicole! I have always had a pattern of working on more than one book at a time, so I’m currently writing two. True to my pattern, one is a North & South, and the other is a Pride and Prejudice. The North & South book, still tentatively named Nowhere But North, began back in July of 2016, on the heels of the blog tour for Northern Rain. It started as a prequel/sequel, kicking off the very first scene with an uncomfortable marriage ceremony. The story moves forward but is enhanced by a series of flashbacks which contrast and flow with the main story line. This book got put on hold so I could finish These Dreams, and it is proving to be just as much of a monster as that story was. I hoped to have it finished by this month and ready for final edits, but I am afraid I have a couple more months ahead of me (sniff!) This scene is relatively early in the book, just as Margaret and John have begun to reconcile their feelings toward one another. “Love, are you well?” John tugged at her hand as they moved to abandon the dining room. Hannah had already left them behind, and they had lingered for a few stolen moments in privacy before John returned to the mill for the afternoon. Margaret hesitated, then turned back to him. The empty quality her eyes had taken on in the few seconds she had looked away fully terrified him. Grief was a fickle tormentor – raising its hideous aspect whenever it pleased, crushing any budding hopes of happiness beneath waves of guilt and remorse for aspiring to such. Well did he know the conflict which bound her within its grasp. Her entire future – their future – hung on what measure of courage and faith she possessed to face her sorrows. She had begun to confide in him, but it was not yet with the strong force of habit which could break through the darkest melancholy. She swallowed, and her gaze dropped to his waistcoat again. “Margaret,” he touched her chin, and those clear eyes braved his once more. “I know how she can be. You frighten her, you know,” he murmured softly. “Because you are yourself – my strong Margaret,” he smiled, a little teasingly. She drew a long breath and shone a grateful smile. “Perhaps I will sit with her this afternoon, instead of….” She halted. “Instead of going to the kitchen to visit Bessie Higgins?” he guessed. Her eyes lit expressively, and it was the only answer he required. He leaned down to kiss her once more – a soft brush, a secret pledge of later delights. “I will wait for you to make yourself ready,” he whispered against her lips. As she turned away, her steps once more sparkling with energy, he gazed after her with the admiration of one who has found his greatest treasure. She disappeared, and he tapped his finger pensively against the leg of his trousers. It was an opportune moment to visit with his mother, to salve her fears that he was lost to her, and to explain to her in detail that cryptic conversation with Henry Lennox. He found her not in her sitting room as he had expected, but in a small little alcove of the stairwell, the window of which looked out to the mill beyond. “Mother?” he greeted her softly, when she did not seem to hear his approach. She did not turn immediately, but when she did, he detected a redness about her eyes. Her thinned lips quivered, and her arms were crossed defensively. “How long have you known about Margaret’s brother?” she demanded in a fragile voice. Hannah had tilted her head back over her shoulder as he spoke, the infamy of it all registering as shock over her stark features. She did not answer when he had finished – instead, her eyes drifted slowly to the floor. Margaret had borne more than she, in her unawareness, had accounted for, and the harshness of her own assumptions chastened her most uncomfortably. “Mr Lennox spoke of a cousin,” she at last ventured in a subdued voice. She rounded fully on him at last, the full weight of these tidings sinking in to her astonished thoughts. Margaret’s revealed family, the previously unknown opportunities she had forsworn, and the sudden devotion she had glimpsed in the young woman’s eyes for John – it all began to make sense to her. “She loves you,” she whispered. The Pride and Prejudice book is still under pretty tight wraps. I’m not even publicly sharing the title yet because it would be too much of a spoiler. I will say that this plot idea had been jingling around in my head for almost 2 years, but I had other books lined up first and I wouldn’t let myself touch it. I had intended to be truly mean to my muse and make myself finish the North & South book first, but the Muse threw a crying temper tantrum over that edict. After the heavy, angsty These Dreams and the dark, personally challenging scenes I was coming back to when I picked up Nowhere But North again, it was a breath of fresh air to play with something that was just for fun. All I will share so far is that the book is unrepentantly lighthearted and irreverent, and will be chock full of page time for ODC. I’m hoping to have it finished by late spring, possibly even scheduling a simultaneous release with NBN. Colonel Fitzwilliam was, indeed, at his flat. He was in the habit of rising early from his long days in the army, and even when off duty, he could scarcely remain abed after seven of the clock. He was already up and enjoying a cup of coffee—no tea for him in the mornings—when his batman informed him that he had a visitor. He stood, inspecting his coat to be certain that no crumbs besmirched it. Lady Catherine descended upon the apartment like a thunderstorm, cracking and pouring down the force of her displeasure. What he had done to merit this personal call at his humble abode, he could not say, but like enough, it had something to do with Darcy. “Fitzwilliam, where are you keeping him?” she demanded at once. Colonel Fitzwilliam stood aghast as his aunt departed in a sweep of black and an irregular tapping of her cane—a means of expression, rather than a necessity for mobility. Darcy and Anne! If his aunt had not sworn to it, he could never have believed it. 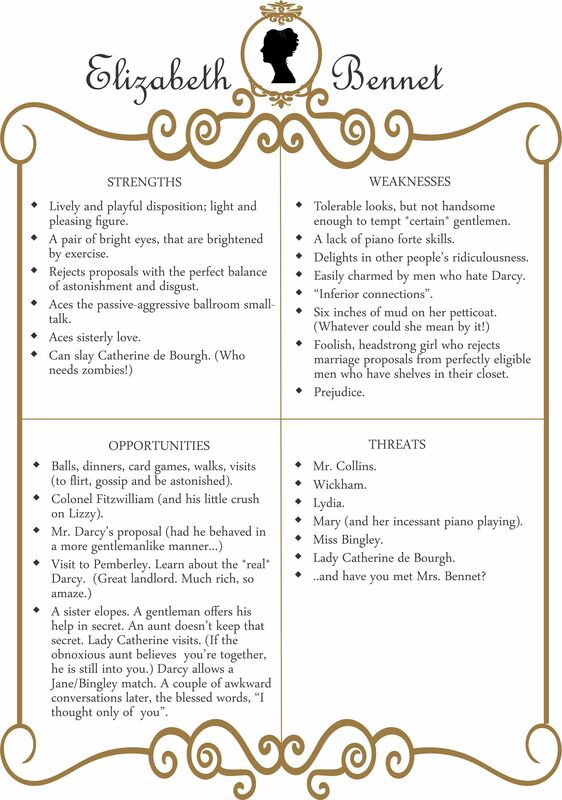 Darcy could have any woman he wanted, as a wife or even a mistress, but Anne? Apart from a sickly, unappealing person, there was the matter of her mother. 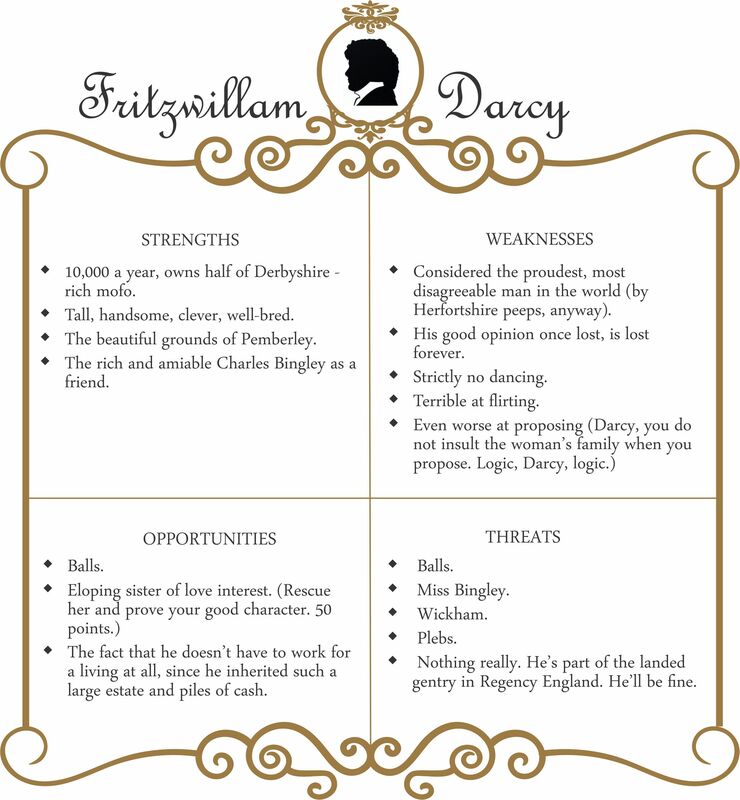 No man in his senses would touch her, least of all Darcy! The man must have been desperate… or intoxicated. After seven and twenty years of celibacy—as far as he knew—perhaps it was a little of both. Besides, any man would be driven to drink with their Aunt Catherine as a guest. Fitzwilliam shook his head and sighed. Well, Darcy could step into the hornet’s nest if he wished. He wanted no part of it for himself. 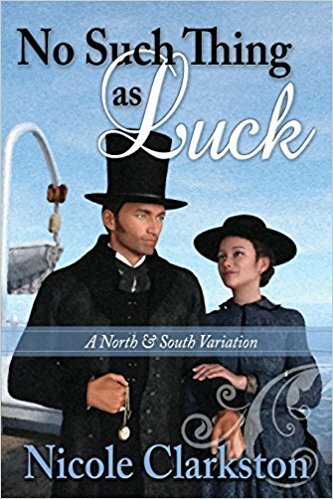 Until Nowhere but North comes out, I would like to offer to one of my readers the opportunity to read one of the best North and South variations I have ever read: No Such Thing as Luck. I’m offering an ebook copy to an international reader and all you have to do to participate is to leave a comment on his post. If you share this post on any social media you’ll get another entry to the giveaway, but please let me know in the comments that you have done so. The giveaway is open until the 9th of March and the winners will be announced shortly after. When I saw Van Gogh mentioned on the first line of Collide I knew I would like the book, but I was not expecting to love it as much as I did. 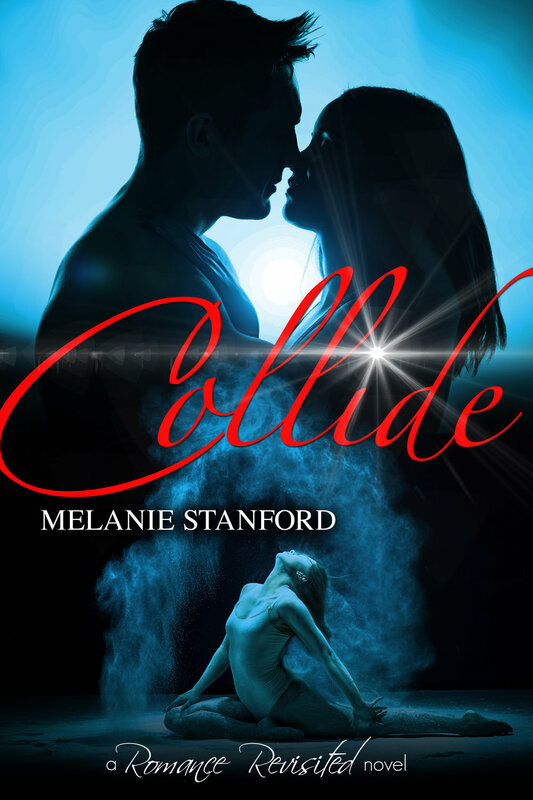 Modernisations are not my favourite sub-genre and even though sometimes I like them, I seldom love them, but Collide was a page turner book that kept me glued to it for two whole days and that completely changed my perspective. I absolutely loved this modernisation! In this North & South variation Maggie Hale leaves her small town of Hillstone to pursue her dream of becoming a contemporary dancer in Las Vegas and it is in Sin City that she will meet Jay Thornton, someone she will misunderstand but who will intrigue her more than she would like to admit. In Collide each chapter is focused the point of view of each of these two characters, so we will get to know each one of them very well, and this is one of the highlights of the book for me. The way Melanie Stanford organised and wrote the book made it absolutely irresistible and readers will keep wanting for more and more. The fact that the point of view changes with each chapters makes it a very dynamic book and there is not one dull moment in it. I loved the Vegas environment and how real these characters felt in their own little world. I could picture their every move and imagine each scene in my head, I felt transported into that reality and I don’t believe there is anything better in a book. I wasn’t too sure about Jay Thornton’s character in the beginning, but those doubts faded very quickly as I started falling in love with his character. He is compelling, and I could feel myself being drawn to him with every page I turned. But to be honest, I loved all characters in the book, Nico was an excellent modernisation of Nicholas, and I loved how the author made his relationship with Jay so similar to the original, in fact, It is astonishing how well Melanie Stanford translated the original story into this new setting. Everything was put together with a lot of care, and every little detail seemed to flow in the right direction every single time. The relationship between Maggie and Jay is incredible, I felt sparkles between them every time they were together and even though the first time he sees her dancing Song of the Cage Bird is one of my favourite scenes, it doesn’t stand out so much in comparison to the others because they are all great! Collide is definitely one of the best books I’ve read this year, and if I could give it a higher rating I would, I loved everything about it, the characters, the setting, the story, the writing… Every single aspect of this book contributed to it being a compelling, intense and wonderful book that I recommend to absolutely everyone, not just those who like North and South, but to everyone who likes a love story that carries along with it real life struggles. I’m sure most people will not have gone through the situations these characters went through as they are too extreme, but I could relate to their struggle to get a better life, Nico was the best example, but I could also relate to Maggie fighting for her dreams and for a career on something she likes and to Jay for fighting to get out of the loop kind of life he got himself into. In short terms, bravo Mrs. Stanford! This is a book I will not forget anytime soon. Oh…and the cover is perfect for the story!!! Today I’m sharing the stage with debut author Riana Everly, someone I loved chatting to in the last couple of weeks and whom I will love to get to know better in the future. 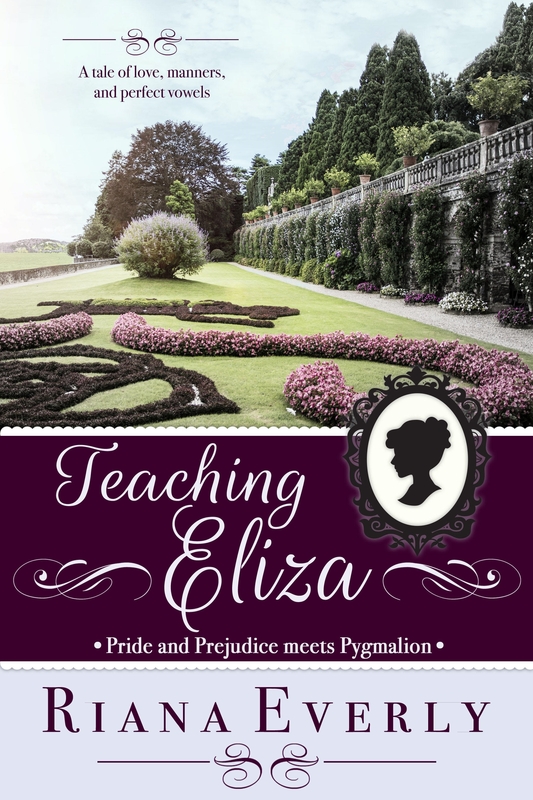 She has just published Teaching Eliza, a mash up of Pride and Prejudice and Pygmalion by George Bernard Shaw and while discussing her book a few weeks ago, we realized how much we both loved regional accents. One thing led to the other, and she ended up writing a very interesting and original guest post explaining the different accents in the United Kingdom. She even added some information and a video for my friends who love North and South and I hope you like to re-watch the scene she chose as much as I did! (and yes, she was the one chosing it, the subtitles are just a curious coincidence). It would also make me happy to know that we are sharing something new with you, that you enjoy knowing more about all these accents and that you get interested in perusing the novel. But I will leave you to it, have fun! A tale of love, manners, and the quest for perfect vowels. From a new voice in historical romance comes this sparkling tale, wherein the elegance of Pride and Prejudice and the wit of George Bernard Shaw’s Pygmalion collide. The results are clever, funny, and often quite unexpected…. Professor Fitzwilliam Darcy, expert in phonetics and linguistics, wishes for nothing more than to spend some time in peace at his friend’s country estate, far from the parade of young ladies wishing for his hand, and further still from his aunt’s schemes to have him marry his cousin. How annoying it is when a young lady from the neighbourhood, with her atrocious Hertfordshire accent and country manners, comes seeking his help to learn how to behave and speak as do the finest ladies of high society. Elizabeth Bennet has disliked the professor since overhearing his flippant comments about her provincial accent, but recognizes in him her one opportunity to survive a prospective season in London. Despite her ill feelings for the man, she asks him to take her on as a student, but is unprepared for the price he demands in exchange. 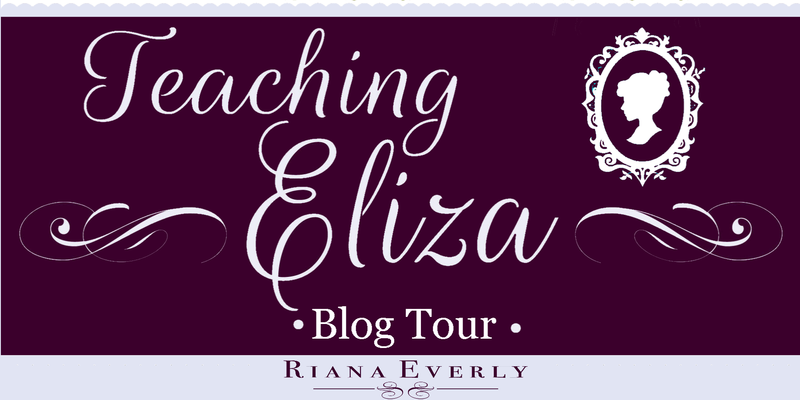 Teaching Eliza is a full-length novel of about 110,000 words. The linguistic landscape of England is distinguished by different accents that identify not only region of origin, but also social class. This is the crux upon which Shaw’s play Pygmalion – and consequently my new novel Teaching Eliza – is based. Henry Higgins, the male lead in Shaw’s play, is a professor of linguistics who claims to be able to identify a person’s place of birth to within a few miles, or a few blocks in London. He attributes his skill to the science of phonetics, or the study of spoken sound. He also claims to be able to teach anybody to speak like the highest-born of society, which is where Eliza Doolittle comes into the picture. She wants to learn to talk like a lady in a flower shop, and Higgins decided to teach her! I must admit to a fascination with accent and dialect. Having moved to Canada as a child, I was always very aware that I spoke differently than my new friends and classmates. Sometimes I was teased for this, sometimes I was admired. (“You have such a pretty accent!” goes a long way to ingratiating yourself with me. Offerings of coffee and chocolate also work.) But it is something I have always been conscious of. Chatting with the charming Rita about this blog post, we discovered a common interest in language and accent, and I thought it would make a fun topic to look at for a moment. In my story, Teaching Eliza, Elizabeth Bennet discovers that she is marked by her Hertfordshire accent, and seeks the help of an expert to learn to sound like the ladies of Town. That expert, conveniently, is Professor Darcy, who has all of Higgins’ skills and expertise, and equally all of his arrogance! But what are the differences in accent? Some are easy to hear and describe, others are more subtle. There are far too many local accents to talk about in one short blog post, but here are a very few examples of what you might find in different parts of the country. Of course this is far from complete, and within each region, there will be further differences that might not include some of the characteristics I mention. Still, for a linguist wanna-be like me, it’s fascinating stuff. This is one of the more distinctive regional accents. Mr. Bingley worked hard to rid himself of his accent, but in truth, I find this a lovely and lyrical accent. a unique and rich local vocabulary, some words dating back to Saxon and Viking days. How fun is that! The West Country accent is influenced by the proximity of the region to Wales, and it carries some echos of Welsh. It is distinguished by the even rhythm of speech and the retention of the ‘r’ sound after vowels. In the 2009 miniseries Emma, Mrs. Elton speaks with a West Country accent. This is the accent heard in the south-east of England, especially along the Thames estuary and the area around London. It shares many features with both the Cockney and RP accents (more on RP in a moment). Lizzy Bennet would have spoken a version of this in her village of Meryton, for Hertfordshire is not so very far from London. I have imagined Meryton in the western part of Hertfordshire, where there would be some influences of the Buckinghamshire accent. This accent would not have been very different from what was heard in London, but this is where class differences come into play, for the higher classes would have spoken with Received Pronunciation, and would have been horrified to be confused with a mere provincial tradesman or farmer! intrusive ‘r’, which joins words ending with a vowel, so ‘India and China’ sounds like ‘India-r-and China’, and ‘Law and Order’ sounds ‘Law-r-and Order’. This is the ‘Queen’s English’, the accent spoken by the highest social classes, including Professor Darcy and his noble relations. It is taught in the best schools, and is the sign of education as well as class. Today, only 3% of the population speaks with this accent, and it is not identified with a region of England. This is what Lizzy hoped to emulate, so she might be accepted by the ton as one of their own. the use of the aspirated ‘h’. “In Hertford, Hereford and Hampshire, hurricanes hardly ever happen.” Each ‘h’ is sounded distinctly. Here is a clip from North and South, where you can swoon at the wonderful ending… I mean, where you can hear the different accents spoken by John Thornton and Margaret Hale. Listen to his closed vowels, compared to her open ones, and the different ways they pronounce similar letter combinations. Then you can swoon. In this passage from Teaching Eliza, Mr. Bingley teases Professor Darcy about accents. Check out the rest of the book to see how Lizzy gets on with her own lessons. Enjoy! “Is that true?” These were the first words Mr. Hurst had uttered all night, so enraptured did he seem with the ragout set before him. “Do say more, Professor Darcy, for I am most intrigued,” said Elizabeth. Mr. Bingley now took over the conversation and spoke volubly on his own great success as a student of the professor, recounting how he had learned to replace the broad and limiting sounds of his native Yorkshire accent with his current cultivated tones. Bingley smiled impudently and the colonel roared with laughter, provoking disapproving glares from Miss Bingley and Mrs. Hurst. Oct. 24 So Little Time… So Much to Read! Riana Everly giving away five copies of the ebook to blog readers through a random drawing on Rafflecopter. The giveaway is international and to enter it you can click here. Today I would like to share with you a guest post under my readers reviews feature, even if this post is not exactly a review, but more of an analysis of my 2 favourite novels: Pride & Prejudice and North & South. My guest today is Apala Bhattacharya, a dear friend I’ve met online due to our mutual love for The X-Files. As we started talking, we realized that we had much, much more in common. We both have degrees in the media areas, we love history and we are fascinated by period dramas, namely the North and South BBC adaptation. We also share our love of Pride and Prejudice, but she didn’t know about the world of JAFF. I introduced her to it, and once she started reading JAFF, she was hooked! Most people will tell you that Darcy and Elizabeth make the most iconic romantic pair in the history of classic literature. Less well-known, but equally loved, is John Thornton and Margaret Hale of North and South. Both novels bind together nuanced perspectives of human nature and human struggles, with love stories that are timeless. As if the books weren’t enough, the TV adaptations of both these novels cast the most perfect men for the roles. Colin Firth set hearts aflutter with his charming reserve and wet, wet shirt; Richard Armitage set the bar for hot businessmen who redefine enduring passion. (Christian Grey who?) Both characters are one half of an iconic pair; but let us consider who all four of these characters are as individuals, as couples; and what they might have in common. In each of these romantic pairings, one half of the couple is a perfect foil to the other. Elizabeth confronts Darcy’s pride, and he is a better man because of it. Darcy makes Elizabeth realize that first impressions are often prejudiced. In the end, Darcy is humbled, Elizabeth’s prejudices are rectified, and they live happily ever after together. The theme of ‘pride’ and ‘prejudice’ runs through North and South as well. Margaret’s prejudice towards traders and the North, gives way to the realization that there is nobility in honest, hard work. Thornton learns that more can be achieved through understanding and cooperation, than with an Us vs Them attitude. In both stories, one helps the other reach a place of greater understanding. Our female protagonists are somewhat alike. Elizabeth and Margaret are both sensible, thoughtful, intellectual women – no silly women are they. 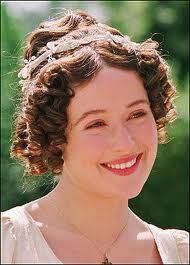 (Unlike Fanny in North and South, and Lydia in Pride and Prejudice.) Both conduct themselves with grace under pressure. Both are humbled by the events in their lives, and are the better for it. Like her protagonist Elizabeth, Austen revels in the ridiculous. She holds up a mirror to human flaws, and does it with humour and charm. Whether it is Mr. Collin’s sycophancy, Charlotte’s mercenary approach to love and marriage, or even Elizabeth herself – Austen parses human motivations and reactions with surgical precision. And that’s why we love Austen. Her writing epitomzes the saying “It’s funny because it’s true”. Gaskell is a more sombre writer. At least six characters die in novel. Plus, Thornton’s father killed himself. Cheerful subject. She doesn’t shy away from exploring death, disease, poverty, feudalism, capitalism and class divide. Gaskell explores these subjects with a real earnestness that is reflected in Margaret’s conversations with Thornton, Higgins and her father. A Victorian woman wasn’t supposed to exhibit intellectual curiosity, so here’s Gaskell breaking gender stereotypes, like Austen does with Elizabeth. They are both quite feminist for a world that had not yet created the term ‘feminist’. Unlike modern literature, classic literature wasn’t binary – it wasn’t escapist romance vs high art. Pride and Prejudice and North and South aren’t just great love stories; they’re great literature. Literature that will give generations of women unrealistic expectations of men, forever. I’m not sure if you’ve noticed, but Nicole Clarkston’s debut book, No Such Thing as Luck, has a new cover. Janet Taylor is the responsible for the wonderful new design and when I heard about this makeover, I thought it would be a good time to post the review of the book. It is one of my favourite North and South fan fiction books after all, and I hadn’t reviewed it yet, so I thought, why not do it now that it has a new face? No Such Thing as Luck was the first book I ever saw of Nicole Clarkston and it was because of it that I discovered she also wrote JAFF. I’ve read and loved her other two JAFF books (Rumours & Recklessness and The Courtship of Edward Gardiner) but this one will always have a special place in my heart because it is one of the best North and South fan fiction books I’ve ever read. This variation takes place after Mr. Hales’s death and Margaret’s departure from Milton. Some months after these events Margaret receives a letter from Frederick telling her that Mr. Bell, who was visiting him in Cadiz, is terminally ill and would like to see her one last time. She decides to embark on a ship as soon as possible and as she is about to embark the Esperanza, she bumps into Mr. Thornton, who is also embarking on the ship to meet a business associate who may help him save the mill after the disastrous strike. In fact, I believe it serves as a closure to the original story. Mrs. Gaskell’s rushed ending was a bit bittersweet for me as I would have liked to read a more slow-paced ending with our characters exploring and demonstrating more their love for each other. This book, being also a slow-paced story, despite the adventures in the end, gave me the satisfaction of seeing these characters profess their love for one another by words and behaviours during an enjoyable amount of time. I believe nothing could be more perfect for these characters than the scenes Nicole Clarkston created on the ship. These were the most intense and romantic scenes I’ve seen of John and Margaret so far, and I wasn’t even done with this book and already wished the author would never stop writing tales of John and Margaret. Nothing compares to the eager anticipation that Nicole Clarkston creates in the first chapters, followed by the overpowering joy of seeing John learning the truth at last. Ever since his conversation with Higgins I could only hope to see him in Spain. I could only imagine what his reaction at seeing Frederick would be, and Nicole Clarkston gave me that satisfaction with this unique variation of North and South. This John Thornton is one of the best, if not the best, John Thornton I have ever seen on a North and South fan fiction book. Nicole Clarkston made me fall in love with him all over again, he is gallant, protective, tender and strong. He is a combination of everything perfect and imperfect I would love to see associated to this character. Margaret is true to herself, but in this book she already knows that turning down such a man was a big mistake considering she is aware her heart has been touched by him. As I love to read books when Margaret is already in love with John, this book was a delight to read. Mrs. Thornton is also seen through a different perspective and even if she remains the same in essentials, we see a new side of her that allows us to get to know and understand the character better. Also, her reaction at seeing Margaret introduce herself when entering the court is priceless!!! (when you read it, you’ll understand, but I imagine many people would love to read this book just to have the pleasure of witnessing this moment). No Such Thing as Luck is a riveting book full of romance between John and Margaret and I highly recommend it to anyone in need of a good romance. The first chapters captivate the readers hearts and souls and it will be hard stop reading after that. Nicole Clarkston would like to offer one copy of this book to my readers. All you have to do to enter the giveaway is comment on this post and share your thoughts with us. The giveaway is international and the winner may choose the book format. It will be open until the 3rd of April and the winner will be announced shortly after. If you don’t want to miss the announcement of the winner and therefore miss the opportunity to see your name there, please follow From Pemberley to Milton. By doing so you will receive an email every time a new post is published and will not miss your prize if you are the lucky winner.